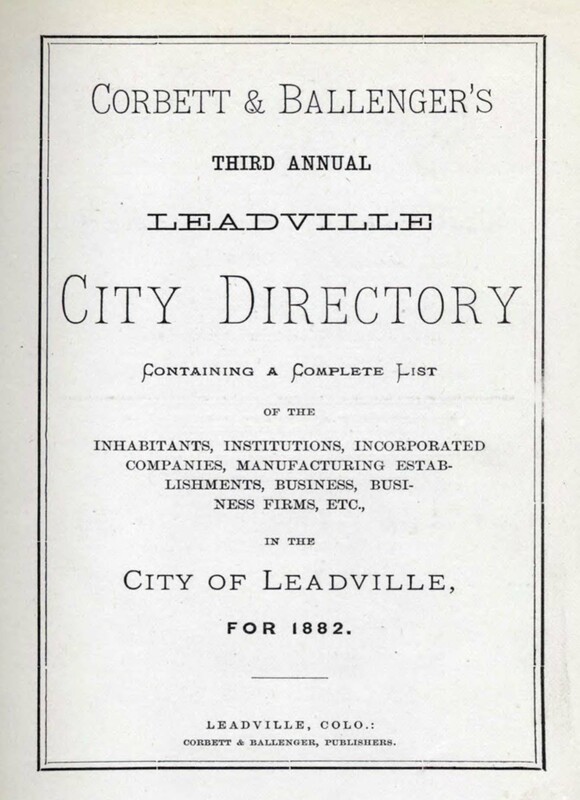 The original set of Leadville City Directories were published for years 1879-1918 (no directories were printed in 1893 or 1896.) The 1879 Leadville City Directory also lists the surrounding cities of Kokomo, Malta, and Carbonateville. City Directories list residents in alphabetical order with residence and often place of employment. Business Directories are located at the end of each directory. A list of abbreviations can be found before the A's. 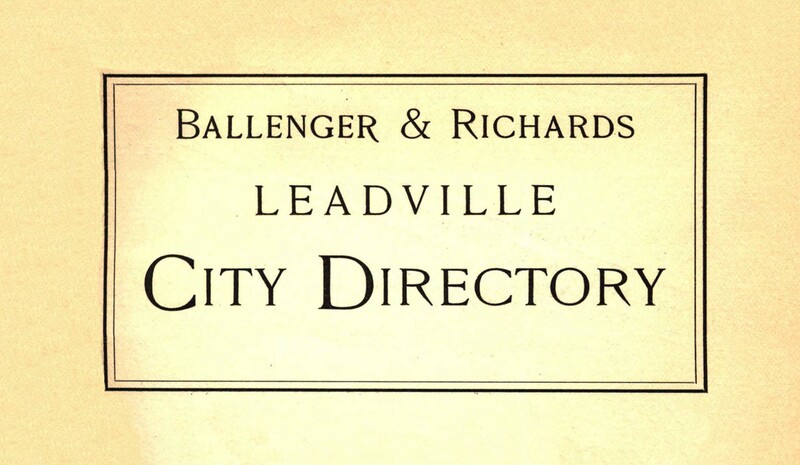 The Leadville City Directories can be found on the Colorado Mountain History Digital Collection. Click here to access the City Directories. This database also includes historic photographs from the CMHC and LCPL collections Leadville City Jail records, digitized documents, maps, video and audio recordings, and other items that represent the changes of Leadville and Lake County through time. Images in this collection are copyright protected and may not be altered or reproduced without permission from Lake County Public Library. Each reproduction must be credited to Lake County Public Library, Colorado Mountain History Collection. Please refer to our price list and order form for commercial and private use. If you agree to these terms, click here to search the database.